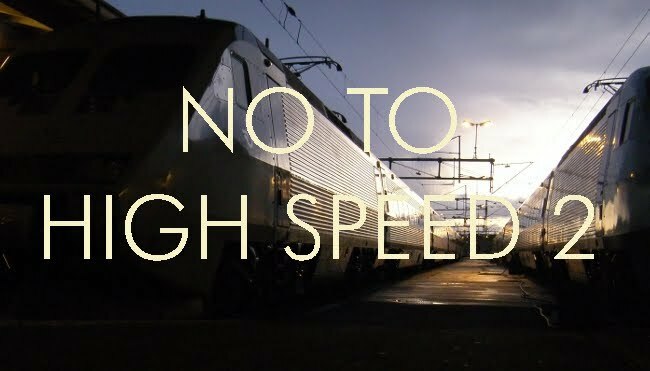 No to High Speed 2: Do 26 metre vehicles give higher seating capacities? Do 26 metre vehicles give higher seating capacities? I have tried without success to convince people that the proposed IEP length of 26 metres is too long for vehicles on the UK system. One of the arguments being put forward for the extra length is that the seating capacity of a train is higher if the vehicles are longer. I would have expected this but when the calculations are done I am left wondering. So what is the difference in the number of seats between 12 x 22 metre vehicles and 10 x IEP vehicles, of almost identical length? To make a fair comparison you have to assume equal seating density. Because the IEP has its luggage space outside what can be termed the "furnishable area", when it can actually be between seat backs within the furnishable area, this comparison is not so easy to make. However, furnishable area is a fair proxy. The furnishable area in a 22 metre vehicle can be taken as 17.1 metres, the rest of the space being occupied by a toilet, luggage shelves, vestibules and a total of 1 M crumple zone. This gives a the total in 12 vehicles is 205 metres. What about the IEP? IEP-TECH-REQ-35-Issue 05 (Technical specification for IEP published by DfT) states: "As a minimum the Furnishable Space length shall be 144m for a nominally 208m long IEP Unit." That is 8 cars, which suggests the average furnishable space in an IEP vehicle is 18 metres. But there are two driving ends in the 8 car set, and that suggests that an intermediate vehicle will have 20 metres of furnishable space, perhaps 21.5 metres at the most. Which adds up to 200 to 215 metres in 10 vehicles. In other words there is no significant difference. That surprises me. My own preference would have been either articulation or to have the longest vehicle that was possible with an external width of 2.80 metres with a go-almost-anywhere capability. Allowing 1.90 metres per bay, that gives a 9 bay vehicle (17.1 metres) with a further 1.2 metres for a toilet ie a total of 18.3 metres. A wheelchair access toilet can be provided in a vehicle with 8 1/2 seating bays. You then have 2 x 1.2 metres for the vestibules and a further 2 x 0.5 metres for crumple zones. 26 metres would be nice to have but it would need a new railway to fit them in without undue compromise. "As a minimum the Furnishable Space length shall be 144m for a nominally 208m long IEP Unit." Note the word MINIMUM in the specification, that means that the IEP proposal has to be a least as good as the existing trains in terms of capacity. What is laid down as a minimum in the specification does not mean that is what is being proposed under IEP, as it could be more than that, maybe you need to confirm what is actually proposed on the trains which gave been ordered. Without knowing what has been ordered your conclusion is based on an assumption and therefore could be inaccurate. 26 metre vehicles are standard on the continent and have been for several decades. The doors are at the extreme outer ends and this gives 11 bays, representing about 22 metres of furnishable space per vehicle. This is possible because the bogies are close to the extreme outer ends thus the space between platform and trains is subject to no significant variation due to platform curvature. In the case of the IEP, the bogies are set in from the ends to reduce the amount of centre overthrow on curves. But if they are too close together there will be kick-out at curves. The bogie spacing has not been published but it will probably be more than the 16 metres of a mark 3 but less than the spacing on an X2000 or Corail vehicle, which has a wheelbase of 18.3 metres between the inner axles. To prevent excessive gaps at platforms, the doorways on the IEP are moved inwards, thereby reducing the furnishable space per vehicle. The space can be advantageously used for toilets and cycles, but is less suitable for luggage unless the intention is to provide secure storage. The increased relative movement between vehicles is a potential source of ride quality problems due to yaw, which will have to be addressed.